Yes, email marketing is still alive - and it works. In fact, even in our social savvy times, Forrester found that people are twice as likely to sign up for your email list as they are to interact with you on Facebook. The key to success with your email is to do it right and with intention.For every $1 spent on email marketing, you can expect an average return of $38. That’s a big ROI. So having a clear strategy is very important to get the most of your efforts. 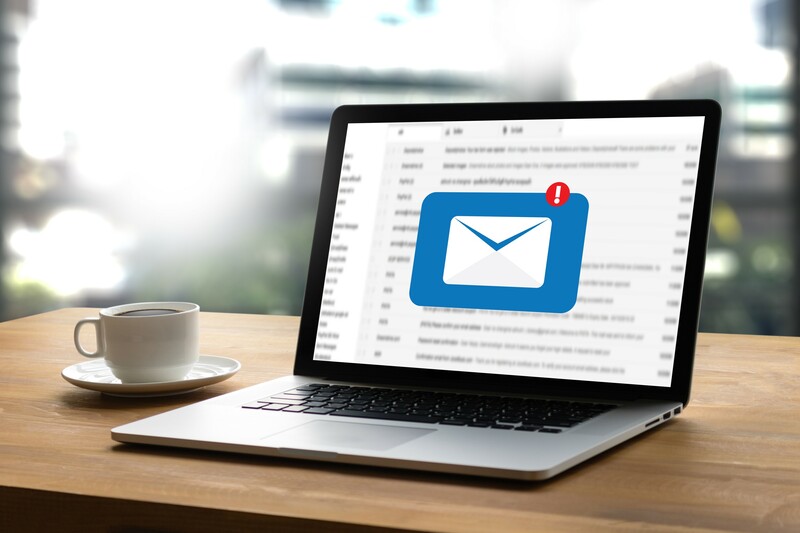 Whether you want to increase your customer base or strengthen your relationship with existing customers, email marketing can give you the tools you need. Here at IMPACT, we love using email to connect and interact with our audience. That being said, with the great opportunity that comes with email there is also plenty of room for error. There are certain things we see in emails that immediately make us marketers cringe, and will surely create a bad experience for your user. Below, we’ll walk through some of our biggest email marketing pet peeves that can kill your conversion rates, and how you can correct them. Emails that aren't personalized are more likely to come across as mass emails that may lack value for your subscribers. So if you have specific information about your subscribers, such as their first name or even company name, consider using that in your copy (or even in the subject line - it’s quite the attention grabber). With tools like HubSpot’s personalization tokens, this task is easy. This way your email would read “Hi [contact first name]” or simply “Hi there,” if there is no value for that contact. Another key thing to consider when making your emails more personal is segmentation. Consider segmenting your email lists between your organization’s different personas, different interests, or even demographics like location or income. The more targeted your emails are, the more likely they are to relate to your audience and are therefore be more successful. Every email should be sent with a clear goal in mind. Whether the purpose of your email is to educate your subscribers about a new pillar page, share a blog post, or deliver landing page, always make the CTA stand out. In order for email to be used as a tool to help you succeed, each email or campaign should be tied to a bigger strategy or goal. If your desired action isn’t clear (or even worse, you don’t have one) then what is point of sending the message? If you can’t determine that, it’s likely not worth sending. Consider your email’s copy, images, and design to guide readers towards your desired action. Make sure your call-to-action is clear, actionable, and enticing and always include a direct link in the copy, and potentially add in a larger CTA button with imagery. Did you know that in 2017 a study found that an average of 55% of emails are being opened via a mobile device. That's potentially over half of your audience. This means that mobile UX is more important than ever, and should always be kept in mind when designing emails. Large images (those over 600px) and multiple columns typically don’t render well on mobile. You only have a small amount of space, so your mobile experience should be simple and clean. Always make sure to test your email on a mobile device to be sure your design is coming through the way you want. It may sound surprising, but 70% of consumers delete emails immediately that don’t render well on a mobile device. As I mentioned above, we always want emails to be as human as possible, even if they may be going to a large list of subscribers, but, this doesn’t mean we shouldn’t be taking advantage of automation, as it’s a huge time saver. Explore things like email templates and workflows. Templates are great for any type of recurring email, as they can be customized, which makes making updates super quick and easy. And workflows are amazing for setting up automated lead nurturing campaigns. Taking advantage of automation can also greatly benefit the user. People expect quick follow-up, especially when it comes to things like confirmations and transactional items. If you’re not using automation to deliver these types of things, it’s likely that you are taking a lot longer than you should, and frustrating people in the process. When it comes to following up with online leads, a personalized auto-responder can be a great back-up when an immediate personal response isn’t possible. Harvard Business Review found that companies that try to contact potential customers within an hour of receiving queries are nearly 7 times as likely to have meaningful conversations with key decision makers as firms that try to contact prospects even an hour later. One more thing that’s important to point out around automation is how it can easily be misused. Setting up intricate workflows can get tricky, so make sure you map everything out with a focus on the user experience. If someone fills out a form on your site, and all the sudden gets bombarded with five emails, it will likely hurt your campaigns overall performance. This one may seem like a given, but we can’t say it enough. About 64% of people will open an email based on the subject line, so it’s important that it stands out. Studies have shown that shorter subject lines, specifically those with six to 10 words generate a 7% higher open rate than those with 11-15 words. This is no surprise as many of us are trying to sort through our inboxes quickly, but it’s just another reason to make sure what you say with those few words is intriguing. Consider hinting at an incentive or asking a question - something that lets the reader know your message contains something valuable. Also, remember to keep it personal. Add in your contact’s name if possible, as it creates the impression that you are speaking directly to them. Unprofessional missteps like typos or attachments may quickly raise red flags for subscribers since spam and email hacking is at an all-time high. To be safe, always proofread and don’t include attachments in your emails to your subscribers period. Linking to a PDF version of what you want them to check out is a better option, and may help you from ending up in the spam folder. When you think of analyzing the success of your emails, what's the first thing you think to look at? The open rate? The open rate can be important, but it’s really only telling you how your audience is reacting to your subject line and preview text. We also need to know what our subscribers are doing after they open the email. Are they clicking links? Which ones? Where are they located in your email? Are they unsubscribing or replying? How many times have they opened your email? All of this data is available in HubSpot’s email performance analytics. The tool even breaks down time subscribers viewed your email by type: Read, Skimmed, or Glanced. Consistently reviewing this data for your emails can help you make changes to significantly increase engagement and overall performance. Once you’ve started to look into your email performance, you can determine good opportunities for testing. Consider testing different subject lines, imagery, and copy for your CTAs. These tests will you help you understand what relates to your audience, and the type of language that piques their interest. Design may not be something that immediately comes to mind when thinking about email, but it has a big impact on how the content of your message is digested. While simplistic and bare bone emails can be successful, experimenting with different design aspects can grab eyes and help you create an enjoyable experience for your subscribers. Check out some of these creative email designs by brands you might recognize. Email marketing has the ability to be an amazing tool to connect and engage with your audience when done right. Sending emails on a whim with no real goal won’t leave you reaping any benefits, so be sure to always have an end-to-end strategy in mind when planning for your emails.